We have forgotten who we are as Africans. We need something to connect us to our dying roots and almost disappearing culture. Some people read yellowed historical books; others listen to their grandparents stories. While others listen to pure Afro fusion albums like KWETU. It has been 10 years in the making, and a blessing for everyone – whether you’ve been a fan from the beginning or since 2017. World musician Fadhilee Itulya finally released his debut album KWETU on 27th April 2018, with support from Vibe Tribe Africa. 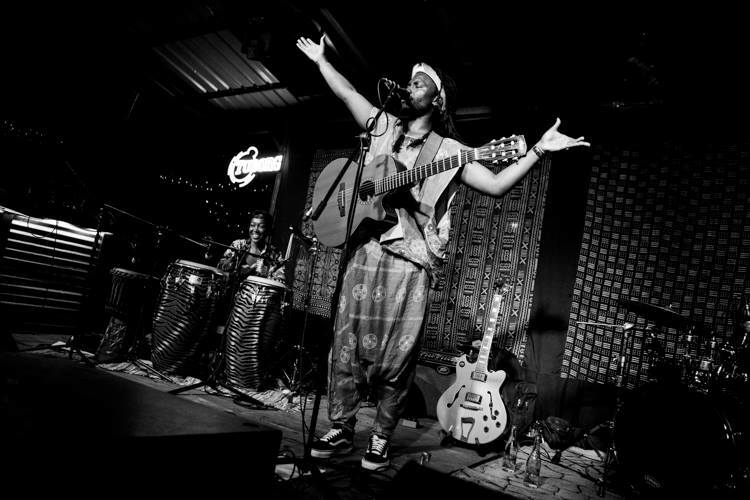 Before then, all we had from the Kenyan singer-songwriter was a few EPs and live shows of him playing his guitar and looping vocals on stage. He showed up (and still does) in the most unexpected African outfits. Sometimes even barefoot. From the first listen, you can tell KWETU is authentically Kenyan. 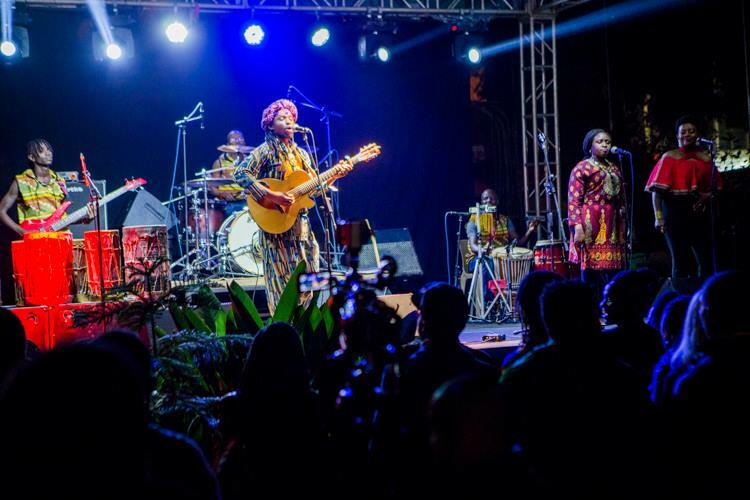 Fadhilee employs a clever mix of English, Swahili and Luhya, with the help of a female choir and African chants. It’s simple in its repetition yet complex in the swallowed words. Everybody knows music is about the feeling, but it’s easier to understand what he’s saying thanks to the lyric booklet. The 14 track album starts out mellow with Afrika. This first song woos mama Africa with a delicious flute while uniting her countries. 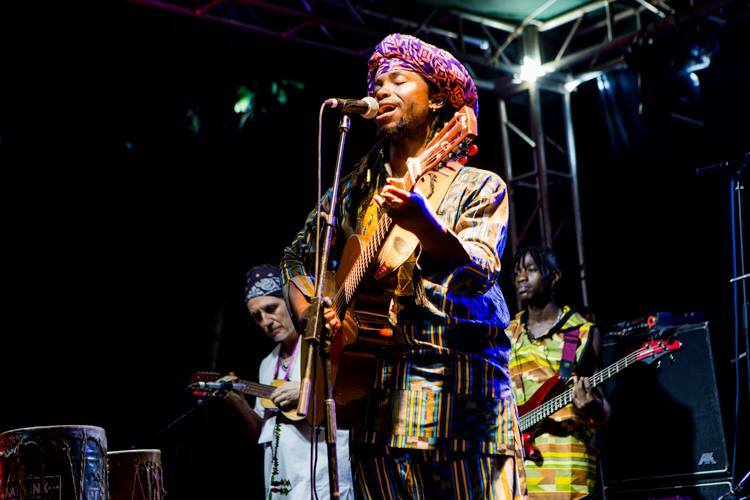 A perfect introduction to the Pan-African message carried throughout the musical project. The second track asks children not to follow the world when mama is away. There’s something truly enchanting about Mama. You close your eyes and immediately get lost in those harmonized chants. It’s almost a spiritual thing. For a moment, you feel like you’re in the same room with your ancestors, reminding you that you’re African. No wonder it stays in your head and heart long after the album is over. In Zion, he reminds us it’s time for Africa to wake up. Zion train is coming our way, so don’t be left behind. Meanwhile, the repetitive chorus is made up of incomprehensible chants that Fadhilee admits to have made up. Flora, the fourth track is a lament song to a girl who once broke his heart. He sings it so passionately that you feel his pain towards Fulora who took away everything from him, including his shemeji. But don’t worry, he’s now happily married to Mama Watoto. In between the original tracks, you bump into percussive isikuti tracks from his homeland. You easily recognize traditional drums and the ifanda – a plain fanta bottle that’s struck with a metal rod. It’s his way of giving you a raw taste of the Luhya culture and Omutibo guitar style that inspires his unique Afro fusion music. These bonus tracks also act as interludes, cleverly placed to indicate change of tempo. The tempo increases in the second quarter of KWETU. Shombo is a warning to a young African girl: Wavulana wanakuchanganya Shombo. You can easily tell Tabasam is a rock jam from the beginning; the guitar does true justice. The world musician fully rocks out in this song, asking you to piga kelele vigelegele mama. It’s difficult not to with such a compelling beat and voice. Meanwhile, the title track stays true to the theme of the album, celebrating Africa Kwetu. One of the standout tracks is Freedom, the first released single from KWETU. It throws you off guard with an Oriental Bollywood intro, then slowly builds up EDM style. But this is not your ordinary Suraj’s Abiro remix. Laced with a conscious message, Fadhilee advises you to stop blaming others and start freeing yourself. The modern liberation song peaks at the chorus. When you’re in a room full of young charged people jumping with fists in the air, you feel that freedom. People, power! Nairobi ironically comes with a Congolese flavour, that makes you sway side to side rumba style. The Swahili track is full of those unnecessary lines that Pitson mimics in you Lingala Ya Yesu. If you’re keen, you’ll hear the hilarious commentary by Wachira of H_art the Band. Dela’s unmistakable silky voice also features towards the end of the song. Here, Fadhilee embodies a country man who travels to Nairobi to look for a job. He shares the all-too familiar joys and pains once he tastes the cool bittersweet waters of Nairobi. Despite the lingala flavour, the track does not lose his signature acoustic style. We Don’t Know is undoubtedly the most playful song of the album. Fadhilee sings in a heavy Luhya accent reminiscent of the light and celebratory Sherehekea. You might doubt it’s the same person once you hear his extra polished English accent. It may seem all fun and games, but this is another conscious song which asks politicians important questions about the country’s state. Kenyans can truly relate. By the chorus, you want to call all your friends and shake your mabegas and problems away. Or dance alone in the house when no one is looking. Like Ona Sasa by Mandela, this 2018 Kenyan album is a classic example of Afrofusion. Made in Africa by a pan-African to unite Africans. In one hour, you hear a plethora of instruments playing in the background: classic piano, african percussions, the drum set, acoustic and electric guitar. With Fadhilee’s airy yet bold voice floating above the multicultural instruments. In an era where contemporary music is made for the melanin hype and to get one million views on YouTube, KWETU is the type of authentic music that will outlive the artist. That connects us back to our African roots. The music we will pass on to our grandchildren and their grandchildren. . Kenya’s own Oliver Mtukudzi. You will definitely feel more African after listening to Fadhilee’s music. As a digital kid, you can buy the Kenyan album on Mookh or iTunes. But if you like to touch your music like I do, you’ll get your physical copy (with the lyrics booklet) and album merchandise at his live shows or from Fadhilee himself. Then you can proudly wear the badge on your chest. Because KWETU is not a place, it’s a feeling. 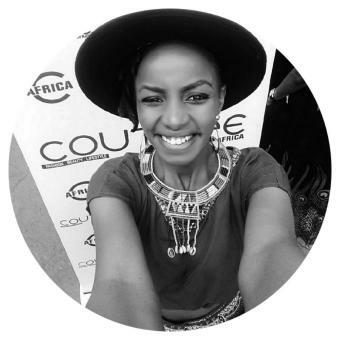 Joy Ruguru is a Kenyan music journalist and events junkie. Other than dancing in public, she enjoys stalking her favourite artists and telling them how much she loves their work. Just see it for yourself on Instagram and her blog LaMusicJunkie.